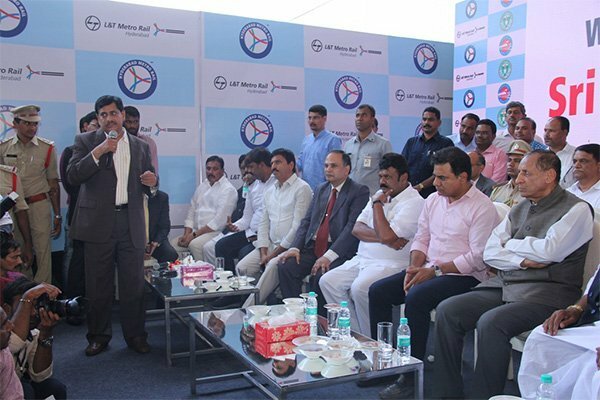 Hyderabad: The wait is finally over with Hyderabad Metro Rail to starting services on Ameerpet to L B Nagar route. The 16-km stretch will officially inaugurated on Monday. Governor E.S.L. 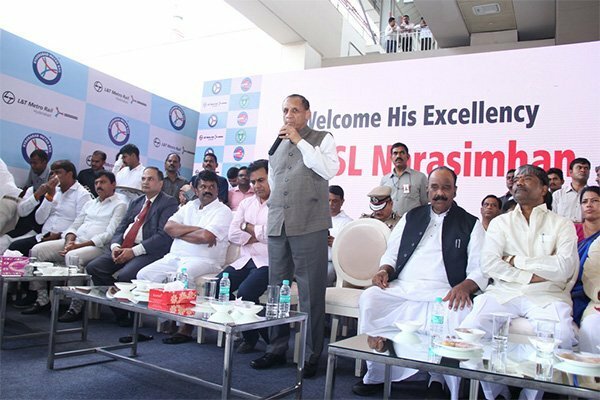 Narasimhan flagged off the metro train from the Ameerpet metro interchange station towards LB Nagar in the city. In a grand ceremony the route was finally let open for public commute. With this route becoming operational, the work on Corridor One mapping 29km starting from Miyapur to LB Nagar is completed. For Hyderabad Metro Rail (HMR) has created the second largest metro network in the country after Delhi. Minister for Municipal Administration K.T. Rama Rao shared this wonderful news during the inaugural ceremony. This will also be the first corridor that is completed and made operational for public there. Last year in November Prime Minister Narendra Modi had began the opening of 30 km metro line of Nagole-Ameerpet-Miyapur. The ceremony was conducted in presence of Chief Minister K. Chandrasekhar Rao as well as others. It also enclosed parts of Corridor Three – Nagole to Ameerpet (17 km) as well as Corridor One of Miyapur to Ameerpet (13 km). Till now around lakh passengers travel in Hyderabad Metro. With the new line becoming operational, the ridership is expected to double in coming months.